Xpath plays a vital role when you want to extract value of an object present in one request and pass fetched value on to a next request. This is more often true when you never know what would be the id in simple terms if the value is dynamic & changes for every request. 1. When we add items to the cart we never know what forms a cartId,if we have to pass that cartId to the basket. So let's extract the value of Id by passing a xpath query to search for the name "cartId" - This can be determined either by firebug if you are on firefox or debugbar if you are on Internet explorer. 2.Add a debug sampler so that you will know what is returned in the variable you stored. 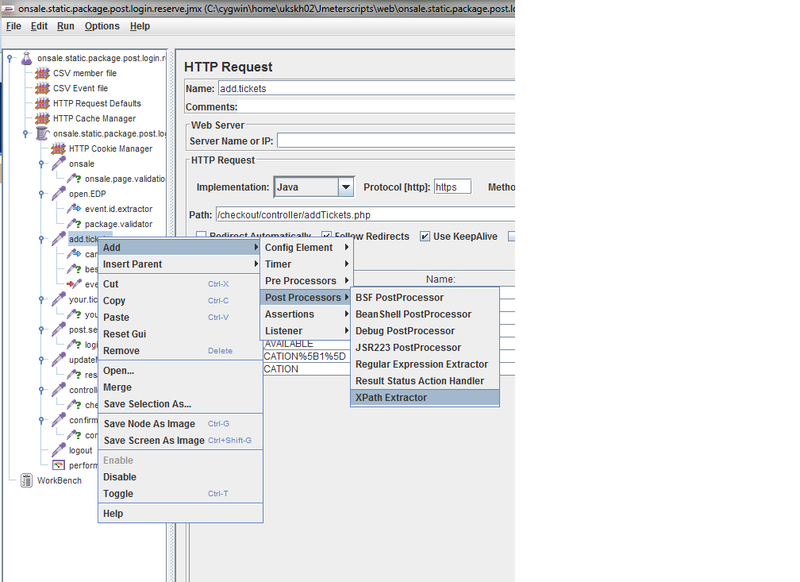 3.How do we add a XPATH Extractor to our HTTP request. 4. Let's have a closer look at the XPATH Extractor. 4.a Give a name to the xpath extractor. 4.e Pass the default value it will displayed if there is no value being fetched from the query. 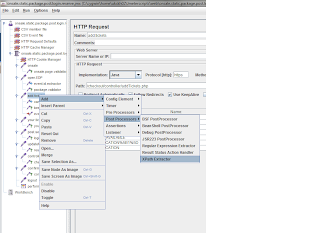 GUI View - System / JMeter Properties.